In recent years the Internet became so entrenched in our everyday lives we reached a point where we were taxing its existing method of communicating data. The Internet Engineering Task Force (IETF) — yes, that’s a thing — came to the rescue and developed a new protocol to fix it: HTTP/2. It has been available since 2015 and with the kinks now worked out and all major web browsers on board, Limelight Online have begun confidently transferring our clients’ websites across to the new protocol to make them faster and more secure. Today we’d like to answer some questions around HTTP/2… what is it, what are the advantages and is it proven? What is HTTP/2 and why do we need it? HTTP stands for Hypertext Transfer Protocol and it is the foundation of data communication for the web. HTTP/2 is the first major HTTP protocol update since 1997, when HTTP/1.1 was first published by the IETF. HTTP/1.1 has worked well over its lifespan, but as web pages have evolved, loading them has become more challenging for the protocol, which practically allows for only one active and one outstanding request per TCP (transmission control protocol or connection layer between web server and browser) connection. 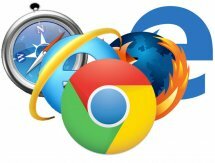 Web browsers tried to get around this by issuing parallel requests between browser and server using multiple TCP connections, but this leads to congestion which harms the network and performance, culminating in a poor user experience. Put plainly, the limitations of HTTP/1.1 resulted in the industry using workarounds as best practice and it became obvious a new protocol was needed. The IETF’s HTTP Working Group developed HTTP/2, a binary (rather than textual) protocol to address the HTTP/1.1 issues and further progress the World Wide Web. It was published in 2015 and supported by major browsers including Chrome, Firefox, Safari, Internet Explorer 11 and Edge. What are the advantages of HTTP/2? HTTP/2 is binary, instead of textual meaning it is more compact, travels faster ‘on the wire’ and is less susceptible to errors. It uses HPACK header compression to reduce overhead. Web page HTML headers are data-heavy and compressing them means they can be sent between browser and server in one trip, over one TCP connection. It allows servers to ‘push’ responses proactively into browser caches instead of waiting for a new request for each resource. To do this the server ‘speculatively’ sends data which it anticipates the browser needing. HTTP/2 incorporates the new ALPN extension allowing for faster-encrypted connections and decreased load times because the application protocol is determined during the initial connection. HTTP/2 reduces additional round-trip times (RTT), meaning websites load faster with less optimisation. Workarounds like asset concatenation and domain sharding aren’t needed with HTTP/2. Our experience of HTTP/2 advantages so far? One of our clients we’ve transferred to HTTP/2 is Christchurch Crematorium Funerals. Their team are always keen to ensure their website is optimised for search engines (Google) and fast to load for users, as every business should be. We performed the transfer to HTTP/2 along with a few other changes to boost the speed of the website, with great results. Using Google’s PageSpeed Insights site speed testing tool, the changes boosted the site’s scores from 62 to 81 (out of 100) on mobile, and from 84 to 90 on desktop. While improved website speed is the main driver (and most easily quantifiable measure of success) in our adoption of HTTP/2, improved site reliability and security are also key benefits. Keeping our clients’ sites secure has always been paramount for Limelight, which is why all our sites were already using premium HTTPS certification (featuring SSL/TLS protocol). We see our adoption of HTTP/2 as a move to stay ahead of the website security curve and further bolster our client offering. Is HTTP/2 suitable for my website? All modern browsers now support HTTP/2 and we’re obviously confident enough in its legitimacy and advantages to be using it for our clients’ websites. If you’d like some bedtime reading, you can learn more about HTTP/2 here and here. 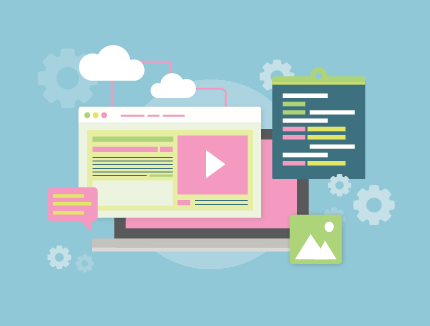 If you’d like to speak to the experts, you can chat to us about what’s involved in integrating HTTP/2 with your website. Josh Casserly is one of our Digital Marketers and, as a well-travelled wordsmith, Josh combines his aptitude for engaging content with his ever-expanding digital marketing skill set.